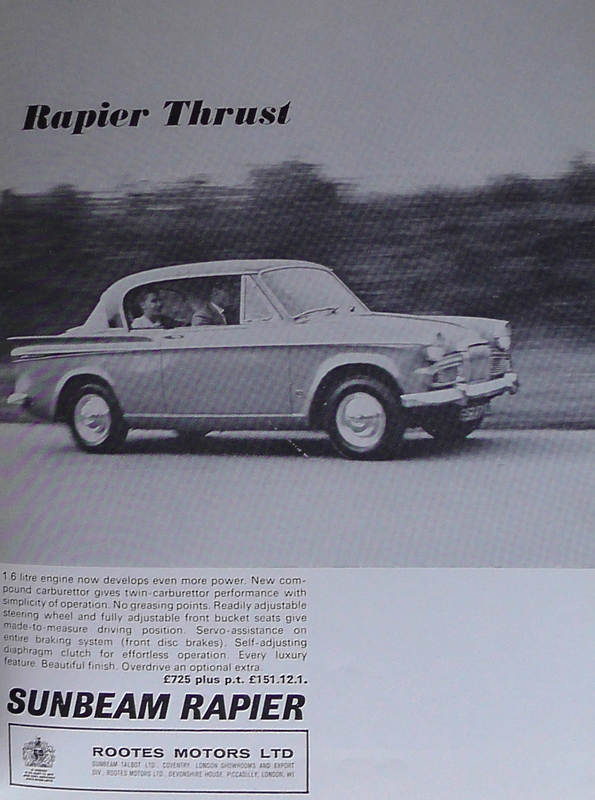 Bruce McLaren journeyed to the Nurburgring, for the German GP, in a Sunbeam Rapier road test car (arranged and co-driven by his secretary, Eoin Young). In the days when standards, and tastes, were more in tune with real life, Bruce described the Rapier as “surprisingly fast” and “very comfortable”. He would have cause to repeat his descriptions, post-race, in ways that he could never have imagined. 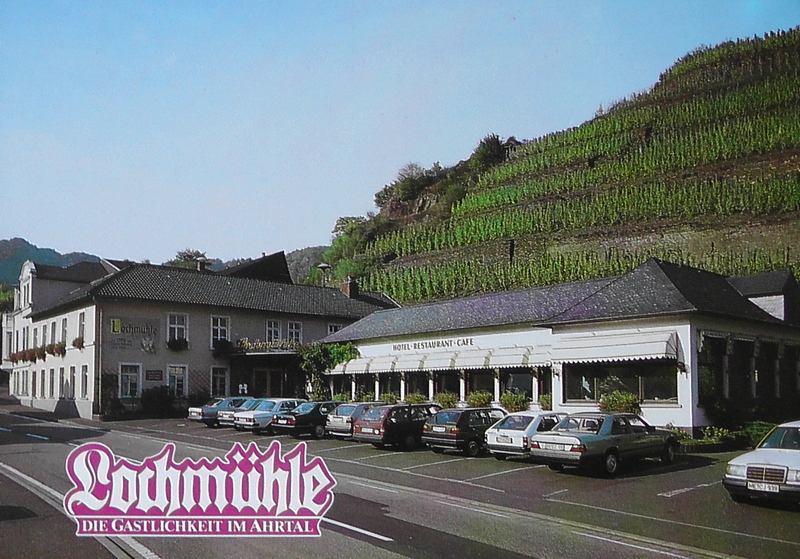 Jim, Peter Arundell and Trevor Taylor attended Huschke’s Sunday night party in Solitude and thus Jim and Trevor left at a leisurely hour for the autobahn thrash up to the Eifel hills on Monday. Jim was thirsty for a win on the circuit that for him represented the greatest of all tests of drivers’ skill. He had first raced there in 1961, in that Essex Aston with Bruce, and had quickly learned the circuit in Bruce’s 3.8 Jag. Then, two months later, he had finished fourth in the German GP in the Lotus 21. That race will forever be remembered as one of the finest hours (or two and a half hours!) in the career of Stirling Moss – but Jim’s fourth place, in his first full season, nursing a brake problem in the spare car (after a big practice accident), should never be under-rated. From then on, Jim had a Monaco-like relationship with the 15-mile circuit: he was always quick, always its master – but the circuit, in turn, always found a way of throwing him a joker. Whilst leading the 1962 1000km race easily in the Lotus 23, Jim became nauseated by an exhaust gas leak from a loose manifold. And at the ’62 German GP, whilst focussed on de-misting his goggles, he forgot to switch on the fuel pump just before the start. He recovered to finish a brilliant fourth. Now, with four World Championship victories behind him, and that new lap record at Solitude, Jim was returning to the Ring with the Lotus 25 in its latest, delectable, form. 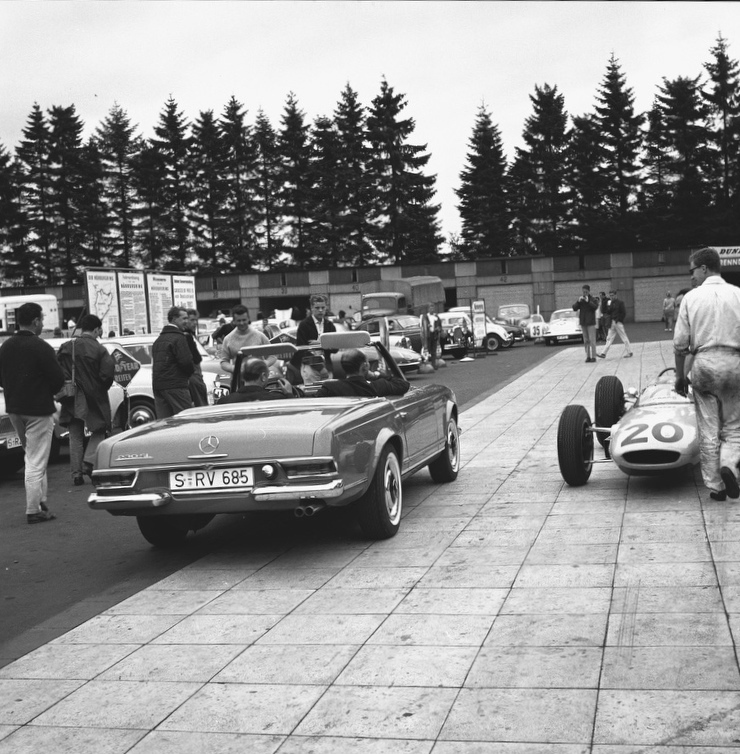 Of course he could be worried about suspension failures and the like over the switchbacks of the ‘Ring; he knew that Cedric Selzer and the boys were, too. He trusted them, though; and, ultimately, he had to trust Colin Chapman. Jim began Friday practice with his race Climax engine from Solitude; and, continuing that Solitude connection, a driveshaft broke (again) as Jim was preparing for a quick lap. He thus finished the session third-quickest behind John Surtees in the works Ferrari and Lorenzo Bandini’s old Centro Sud BRM. Cedric Selzer and the boys fitted new driveshafts during the lunch break in the Team Lotus lock-up garage in the paddock quadrangle. Bratworst anyone? It was dry, but overcast, on Saturday, which meant that now was the moment for The Lap. The 25 felt taut on exploratory looks around the North and South Curve loops; the new engine, mated to the new ZF, seemed strong. Jim lowered himself in.Peakless Bell, Dunlop blue overalls, Leston string-backed gloves, Westover shoes. No seat belts. The new engine faltered. It coughed, irritatingly, as Jim left Pflantzgarten for the long roller-coaster straight at the finish. And it wasn’t just a question of losing a second or two: the baulk killed his acceleration run through third, fourth and fifth gears. There was no telling how much time he had lost. Still, though, he was on the pole: that was the quality of the lap. 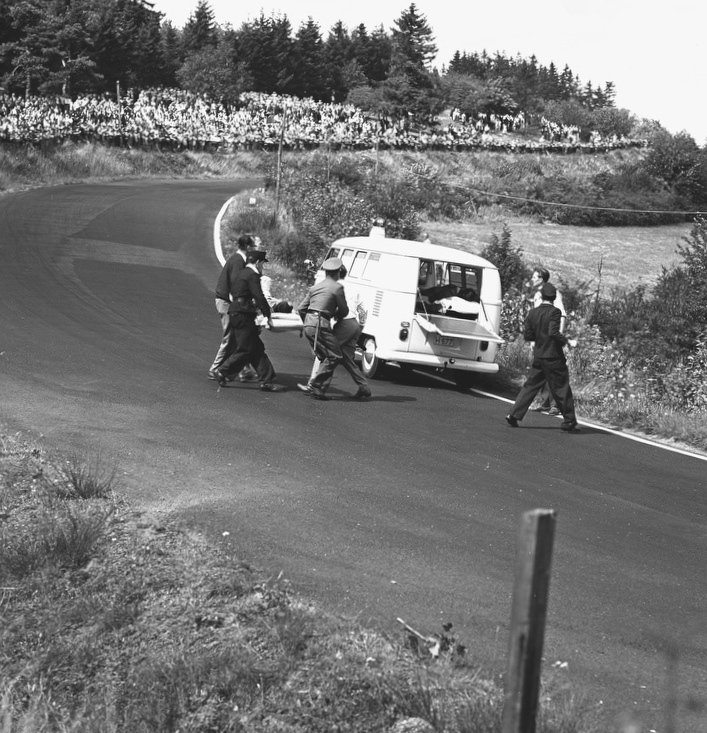 8min 46.7sec – the fastest ever recorded at the Nurburgring. Without that mis-fire (or whatever it was), he could easily have been in the 43s. Surtees, looking consistently quick, was second-fastest; and third – amazingly – was Lorenzo in the old BRM. It was at about this time that Jim’s long-lasting friendship with Lorenzo was born. 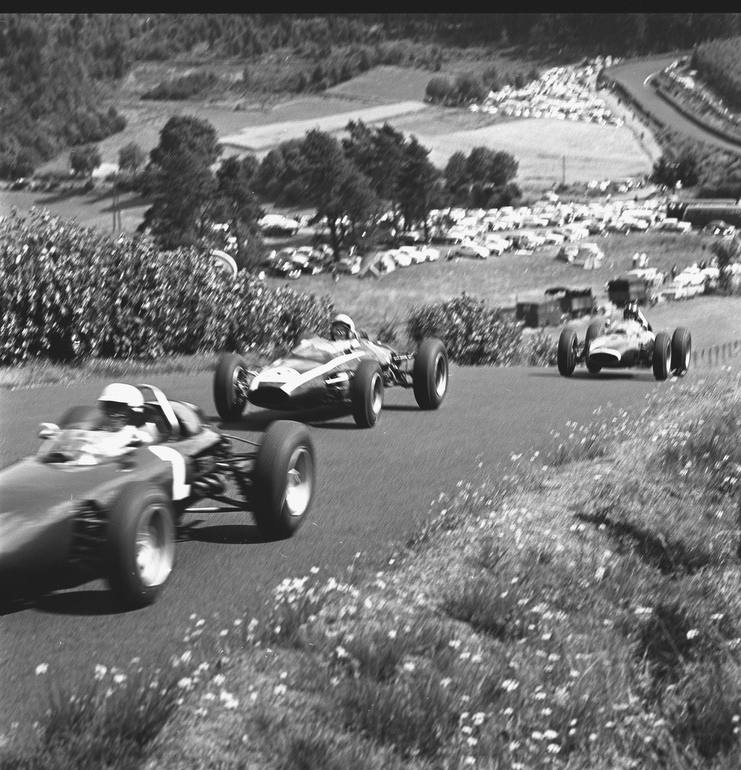 Graham Hill, always a threat at the ‘Ring, rounded out the four-car front row; and Bruce was on the inside of the second row in the Cooper, ahead of Ritchie and Jack Brabham. Dan, again wearing a white, Clark-like, peak on his Bell for this race, had nothing but engine trouble with his Brabham. Was Solitude but a dream, he must have been asking? 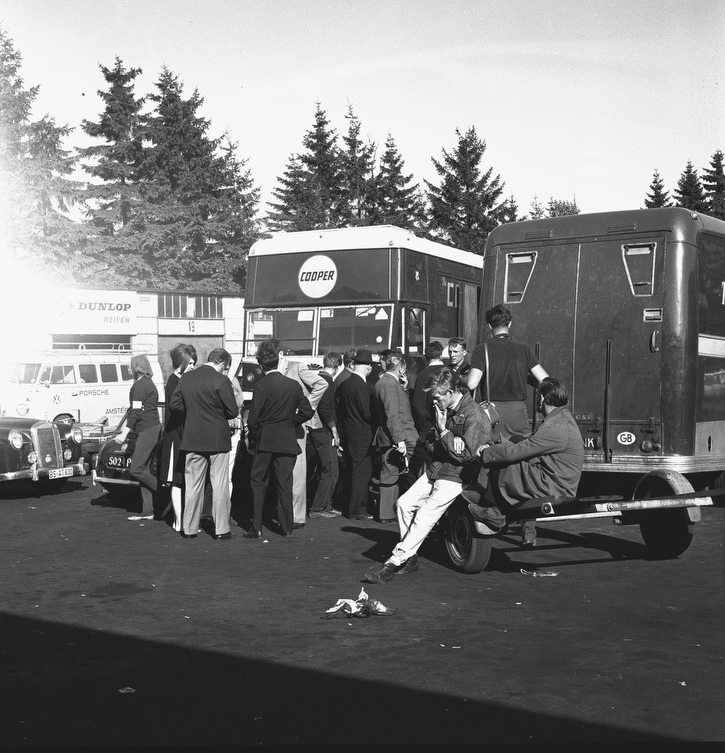 Wally Hassan, of Coventry Climax, was present at the ‘Ring (on the third anniversary of the V8’s appearance) and suggested the usual remedies: plug changes, fuel injection clean-outs. In the quadrangle, as they all sat and stood around, and as the mechanics worked flat out, Jim’s engine sounded perfect. Fingers were crossed for tomorrow. It wasn’t to last. As Jim selected third gear – and this can just be seen on the video – his engine hesitates again, just as it had on his pole lap. “Surely I haven’t oiled a plug on the line?” he thought, fearing the worst. Jim had specifically started the engine only a few minutes before the off to prevent just such a problem. Now, as he focused on the first left- and right-handers and then on the run down back behind the pits, he could see the pack surging nearer in his mirrors. All around the lap he lived with the problem. 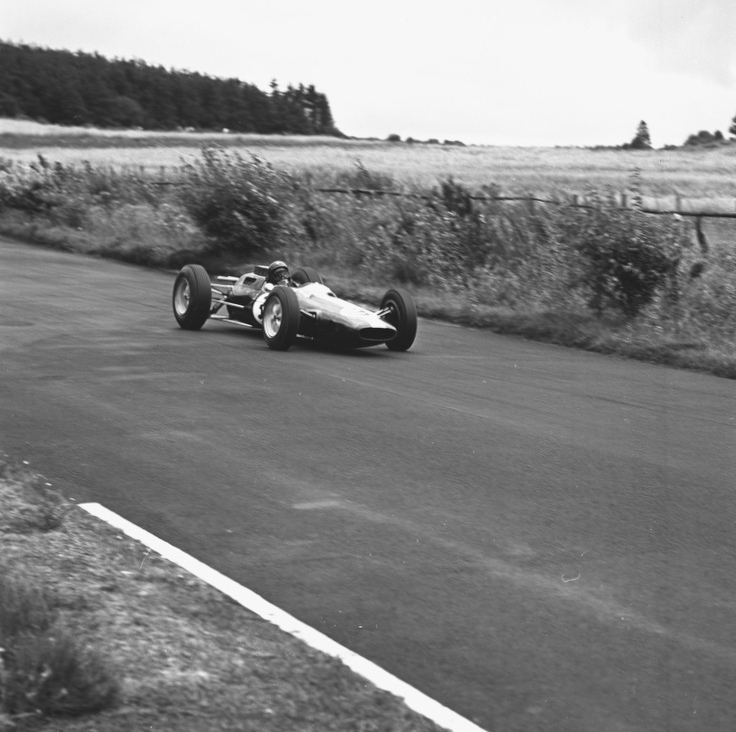 Ritchie Ginther went past in the BRM – then Surtees. The engine would feel as if it was on seven cylinders – and then suddenly it would go onto eight, mid-corner. 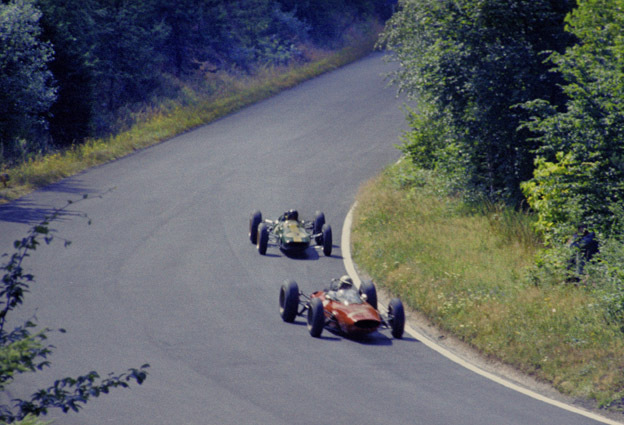 For the most part of the race Jim was able to keep the Ferrari of John Surtees in sight; indeed, as can be seen in the videos, he was on some parts of the circuit able to re-take the lead – for John, too, was fighting a mis-fire of his own. Usually the Ferrari ran on six clear cylinders; occasionally it ran on five. Surtees was up there with Clark, allowing for the intrusions, fighting with the car. And, towards the end, he was able to pull away, for Jim began to feel his gearbox tighten. On this occasion Jim would settle for second place – the first and only second place he would ever record in a World Championship Grand Prix. It wasn’t a question of “driving for points” because of “the championship”. It was simply a question of “bringing the car to the finish”. He did so – 1min 20sec behind John. Afterwards, the engine problem was traced to yet another dud spark plug. It was in many ways a momentous race, marked for eternity by highs and lows. John Surtees, the former mult-World Motor Cycle Champion, had now won his first Grand Prix; for their part, Ferrari had scored their first victory since that dark day at Monza, in 1961. 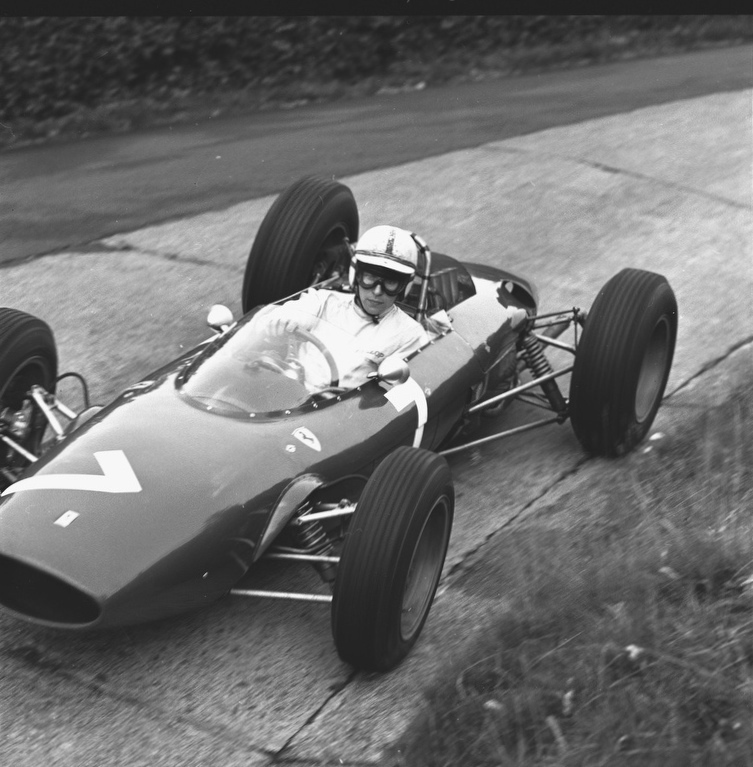 Ferrari’s other driver, Willy Mairesse, had meanwhile been seriously injured when he lost his car at Flugplatz; Bruce McLaren had crashed heavily when his Cooper broke a rear wishbone (as distinct from the front suspension that had cracked in practice! ); Bruce had been thrown out and knocked unconscious but further, serious, head injuries had been prevented by his new Bell Magnum. 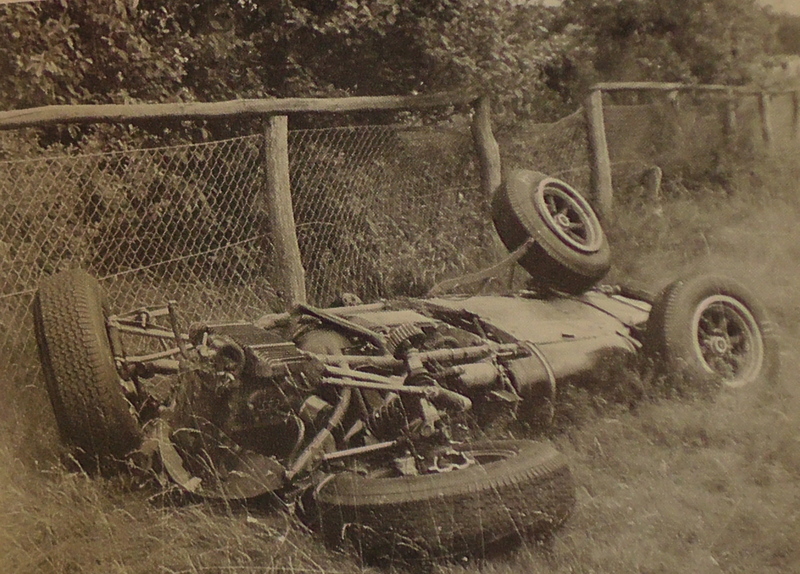 Chris Amon had broken a couple of ribs when the suspension also failed on his Parnell Lola. Lorenzo was out early after a shunt with Innes Ireland’s BRP but had still done enough to earn himself a works Ferrari drive at Monza (in place of Mairesse). Amon, Jo Siffert and Jo Bonnier could all have finished fourth but for mechanical dramas. (Dan Gurney, who also retired his Brabham, can be seen briefly in the German TV feed, standing by the Rob Walker Cooper after it retired with a “broken chassis”); at the end, fourth position had been taken by a German (Gerhard Mitter) and his old Porsche (shown on the video near the podium); Jim Hall had again driven extremely well to finish fifth; and third, after leading and spending most of the race holding his BRM in gear, was another American, Ritchie Ginther. Over 350,000 paying spectators attended this German GP – even though a Gerhard Mitter-type result was about their greatest expectation; for these were the days when people watched because it was their national Grand Prix and because these were the best drivers in the world, regardless of nationality. Even though Bruce would lose his life in another accident, at Goodwood, in 1970, I think these words would have been fully-endorsed by his friend, Jim Clark. Interesting particularly watching the YouTube footage which shows visually the huge changes that have taken place in the last 50yrs, not only in terms of the cars, but safety, clothing & relaxed demeanour. Seems much more like a big club motor-sport event. I’d forgotten. Thanks for the reminders. On the subject of u tube, If you type in “1968 warwick farm” there is the full race on there with a great interview with Jim at the end. For those that havent seen it, I would call it essential viewing. There is some great saloon car racing footage also! Once again thanks for the articles. Fantastic story and terrific watching the drivers fling their cars around the grand old circuit. Even if I don’t German, I could understand what was going on! Keep up the great works Peter….this is always a pleasure read. Coorection: Fantastic story and terrific watching the drivers fling their cars around the grand old circuit. Even if I don’t know German, I could understand what was going on! Keep up the great works Peter….this is always a pleasure read.